Jobu reacts to Jamie Moyer’s designation for assignment by the Colorado Rockies. The other day, the Rockies made a roster move that has happened hundreds, if not thousands, of times in major league history. They cut an aging starter who was, in their eyes, no longer capable of getting the job done. In the process, they may have ended one of the more memorable careers in recent history. 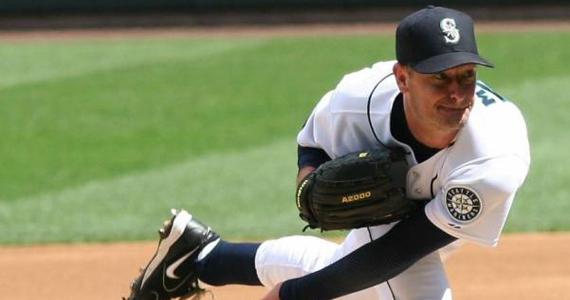 Is this the end of the line for Jamie Moyer? Before we talk about that, let’s go over what Moyer has meant to the sport in his 25-year career. 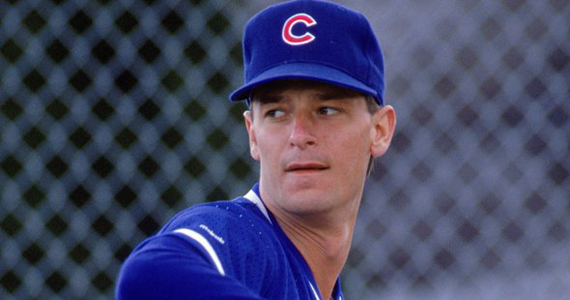 Originally a sixth round pick in 1984 out of St. Joe’s, Moyer made his major league debut for those same Cubbies in 1986 (against Hall of Famer Steve Carlton). After two bad years and a pretty solid one the Cubs cashed in on his value and traded him, with Drew Hall and Rafael Palmeiro, to the Texas Rangers for a giant load of crap (Paul Kilgus, Mitch Williams, Curt Wilkerson, Steve Wilson and two guys who never made the majors). I mean what a terrible trade for the Cubs, right? But, I digress. Shoulder trouble hindered his Rangers career, and he was released in 1990 after two very unspectacular seasons. This led to a bit of a turning point in Moyer’s career. He was signed by the Cardinals, but released in October after spending a lot of the season in the minor leagues. He then signed with the Cubs again, but was released in Spring Training. The Tigers took a chance on him, but he never impressed them enough to get to the major league club, languishing the entire season in AAA. He signed with Baltimore before that season, worked his way into the rotation in late May and set career highs in wins and ERA. After another season in Baltimore in 1994, it was time for Moyer to move on again. He signed with the Red Sox prior to the 1995 season, but didn’t make a huge impact until the next season. Moyer got off to a hot start with the Sox (7-1 4.50 ERA), so they traded him to Seattle at the deadline for a young outfielder named Darren Bragg. This ended up being a great trade for the Mariners. Moyer went 6-2 the rest of that season and spent the next eleven years as a part of the Mariners rotation. Moyer is one of the best pitchers in Mariners history, winning 145 games in those eleven years, including 20 in 2001 and 21 in 2003. Those 145 wins are fifteen more than the great Randy Johnson had for Seattle, and first all-time for the franchise. He really became one of the most reliable pitchers in the league as well, never making less than 26 starts in any of his years on the M’s. All great things, however, usually come to an end. Toward the end of the 2006 season, the 43-year old was traded to the Philadelphia Phillies for a couple of Andrews (Baldwin and Barb). Moyer had been struggling on a very bad Mariners team (6-12 4.39 ERA), but turned things around on the much better Phillies squad. He finished the year 5-2 in his eight Philly starts, and remained a part of their rotation for the next five seasons, winning 56 games and a World Series in the process (for the 2008 Phillies). In 2009 he was demoted for a time when the Phillies signed Pedro Martínez (remember that? ), and eventually was lost to a torn groin and lower abdomen in September, costing him another World Series appearance (the Phillies lost to the Yankees that October). Faced with his first real adversity in almost twenty years, Moyer battled his way back, rehabbed and was back in the Phillies rotation (the whole Pedro thing didn’t work out) by opening day, but only lasted through July, when he had to leave a start due to an elbow strain that would end up requiring the infamous Tommy John surgery. At 48 years old, most people assumed Moyer would just retire and head home, but there’s never been much quit in Jamie now, has there? He spent all of the 2011 season recovering and rehabbing his elbow, and signed with the Rockies on a minor league deal with an invitation to Spring Training. Despite the fact that the team didn’t exist until almost ten seasons after Moyer’s MLB debut (and neither did a lot of the Rockies players), Moyer beat the odds yet again and made the opening day starting rotation. Plainly put, this is a league of results, and Moyer was not getting the job done. In ten starts, he managed only two wins against five losses with a 5.73 ERA, and he was leading the league in hits allowed when the Rockies finally cut the string. He did have some good moments with the team this year, though. On April 17th, he became the oldest pitcher to win a major league game when he bested the Padres. A month later, he became the oldest player to drive in a run, when he had a 2-run single against the Diamondbacks. It was really remarkable what he was able to do for the Rockies, considering his age and the fact that his fastball goes slower than most pitchers’ breaking balls. 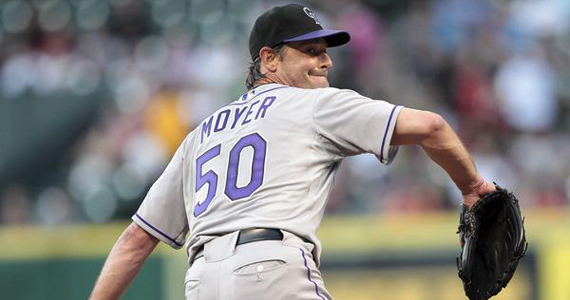 If this is the end of the line for Moyer, he’ll be retiring with all of the good “old guy” records. He’s basically the oldest player to do almost everything that he has done this season (if that makes sense). He’s also played in 50 major league stadiums, which is the most all-time too. 263 players currently on major league rosters were not even born when Moyer debuted in 1986. He’s thrown shutouts in four different decades (80s, 90s, 2000s, 2010s). If he is indeed finished, he’ll finish with 269 career wins, which is good enough for 35th all time. Not bad at all. I really hope someone takes a flyer on the guy. He showed some potential this season (three of his starts were “quality starts”) and, in the right division or environment, I think he could not only really help a team win, but also put a lot of butts in the seats. Here’s hoping we see you again, Mr. Moyer.